Reading postcard for TypeCon 2008 — Blog — TypeOff. 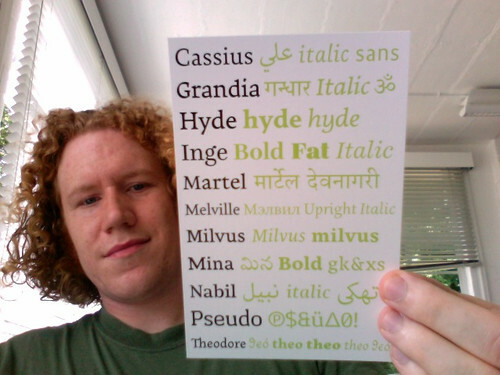 Paul and Gerry were at TypeCon over the weekend and were able to bring back a few of the MATD 2007–2008 postcards. During the week before our typeface submission deadline, we put this little postcard together. It was printed in New York and shipped to Buffalo for the conference goodie bags. For now, it’s the only printed sneak-peek of our work. But perhaps more will come along in the near future.